“Bear in mind that this can happen mid-dinner, mid-argument or even mid-stepping-into-the-shower (true story),” Emily explains. At only 23 years old Emily Woodhouse is a pretty cool lady. Based down in Dartmoor she’s part of Mountain Rescue – which is no small feat. 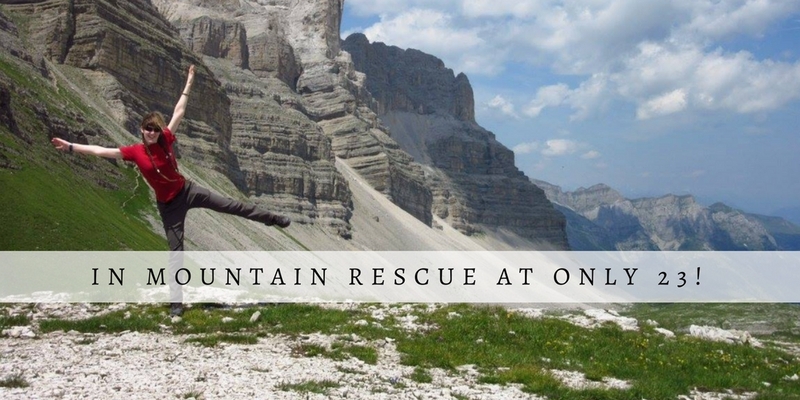 The Mountain Rescue (MR) are teams around the country, often based in hilly, mountainous areas, who volunteer their time, skills and energy to come out and find you in the hills if you get lost, stuck or injured. They’re an incredible bunch of people who sacrifice their own time for the good of others and to be involved with them at such a young age is nothing short of admirable. When asked whether she’d always walked – I’d assume so for someone so passionate about being outside – she admits that she doesn’t really know. Having been born in America there is photo evidence of being in the mountains of Yosemite as a two year old – “…although how far I actually walked, age two, is another question!” It was only as she went into her teens that she remembers getting really serious about walking, joining a group and getting out camping nearly every weekend. Not everybody is aware of the MR and the work that they do – and even fewer know how to call them when needed. She rightly points out “the longer you spend in the hills, the more likely you are to know about them.” The problems arise when non-walkers come to the mountains for the first time for a bit of a jolly and they don’t properly research where they’re going, trying to wander up mountains with no map, compass or extra layers. 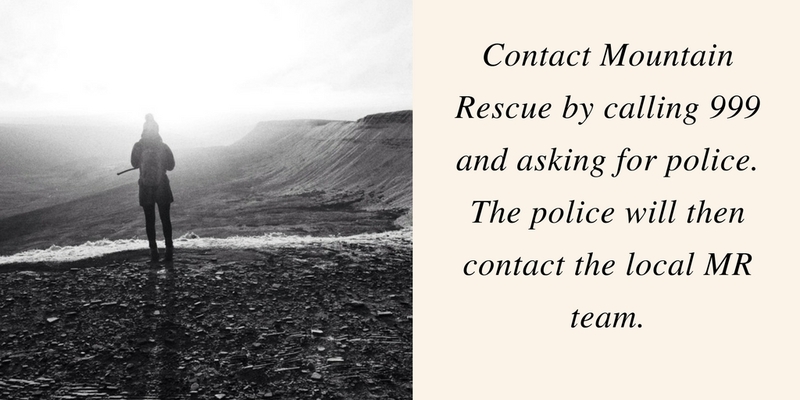 This often occurs in places like Snowdonia, where Snowdon has become something of a tourist attraction and therefore it’s assumed that it’s a safe area. That all sounds pretty cool, right – but you really have to earn that hero accolade. She explains that, before she signed up, she “didn’t realise how rigorous the selection process [was]. There’s a selection day, then you might be invited for a six week trial period – or rather, six training exercises. If everything’s going okay at the end of that, you become an official trainee and are given a log book.” So, it’s no stroll in the park to even become a trainee. Before you can go any further you need to complete your logbook, which takes most people about a year. 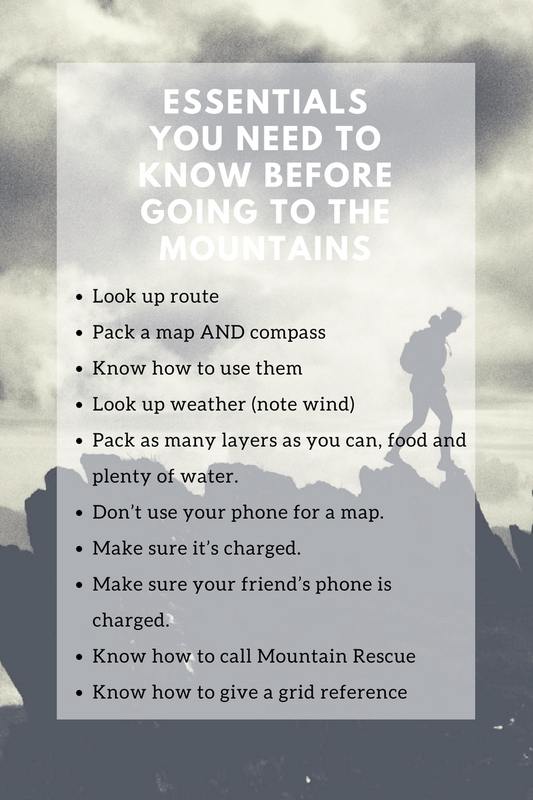 Once that’s done, you’ll be put through your paces in a navigation assessment, where you’ll be micro-navigating your way through a winter night with “as awful weather as can be arranged”. Needless to say, Emily must know her stuff as she passed and is now what’s known as a Hill Party Member (and recently appointed Treasurer of her team). Being a part of a MR team can take up a lot of your time and in a world where we’re always busy, time can be a precious commodity – especially when you’re volunteering it. It could be argued that a high proportion of people don’t appreciate that just how time consuming being part of a MR team is because they “really don’t understand the scope of what we do It’s not just about winching people off crags with a helicopter. In fact, we spend a lot of time doing rural and urban searches, looking for people with dementia etc who have gone missing.” That’s not including the weekly training that they have to undertake and not even touching on the fundraising efforts* they have to put in to keep this vital organisation running. *If you want to donate to MR click here. All in all – she’s one pretty badass woman. You can find her on her blog, or on Twitter. Go say hello! That’s an amazing achievement. I know a few MR team members and they are remarkable people. Whilst I am hopeful I will never require their help, it’s great to know that they are there. After listening to a member of the MR recently, I can only be seriously impressed by this. They do such amazing work, and as volunteers, I think that we should all be very grateful that there are people out there like Emily. I’m just gobsmacked they’re not paid. It’s shocking. I always do everything I can to make sure I’m fully equipped when I head out and so it’s only in truly dire circumstances that I’ll ever need to call them.